A quick note before we begin. Although it appears we have jumped back in time and missed this diary entry…we haven’t! We are just following the order the entries appear in her journal. Viola resorts to stealth in her next diary as she recalls a close encounter with a squirrel. When trying to spot wildlife it pays to be quiet and still. Viola heeds this advice as squirrel was ambling near her stables. She describes the brief encounter in the transcript below. 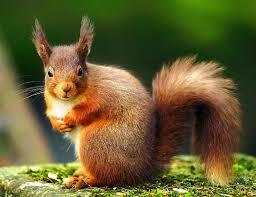 Our favourite part is when she said the squirrel probably mistook her for a tree! ‘Hardly complimentary’ was Viola’s retort. before the stables, got it to pass me within about six feet.